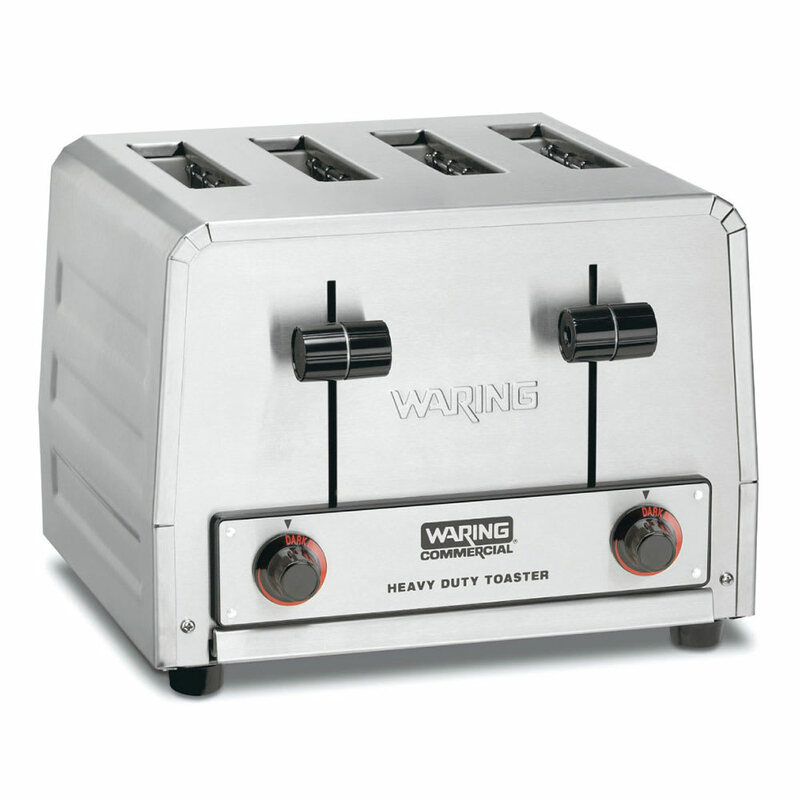 The Waring WCT805B slot toaster has a dishwasher-safe crumb tray that catches food debris to simplify cleanup. 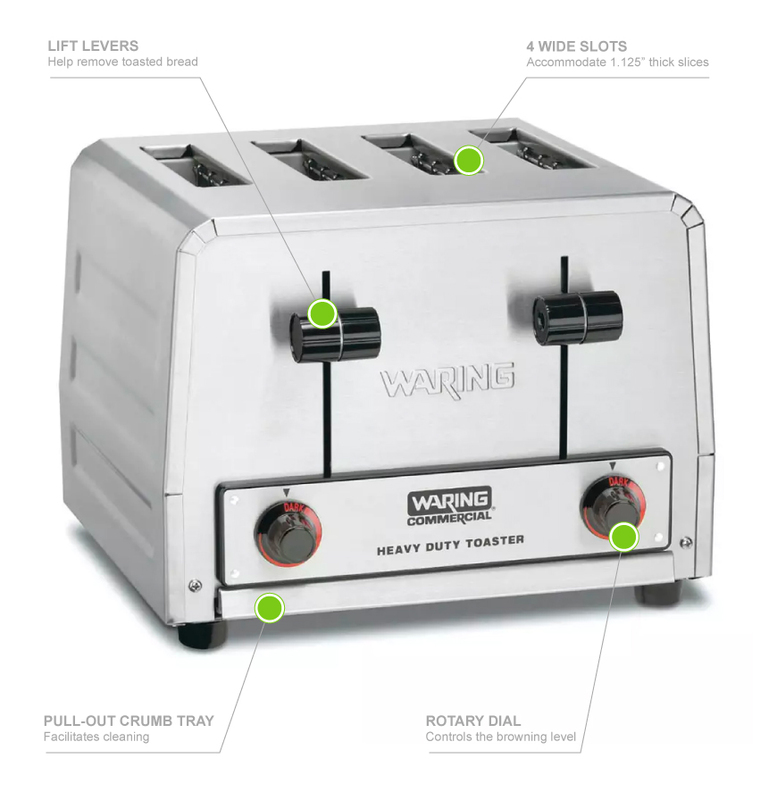 With four 1.125-inch-wide slots, the toaster can accommodate bagels. 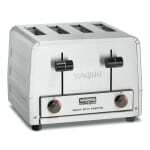 The selector switch adjusts the heat to toast one side only. Each slot pair has a browning control knob and lift lever. Smudges are hidden on the brushed stainless steel finish. Can toast 380 slicers per hr. More in-depth information on these units is available in the slot and conveyor toasters guide.